Hello friends! 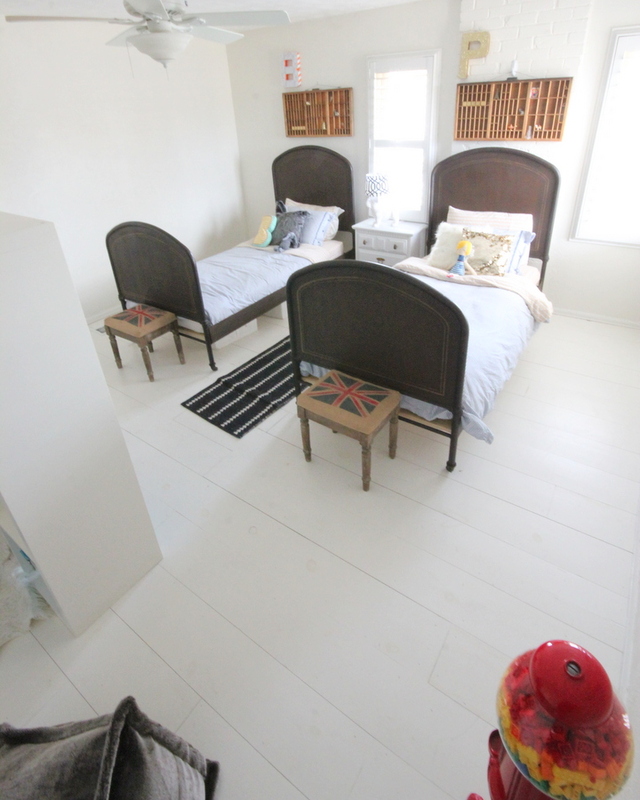 We spent the last week moving into our rental in Saipan. It is just the opposite of our house in Denver- built this century, big, and very ‘coastal.’ I will try to take pictures this week for a little tour. 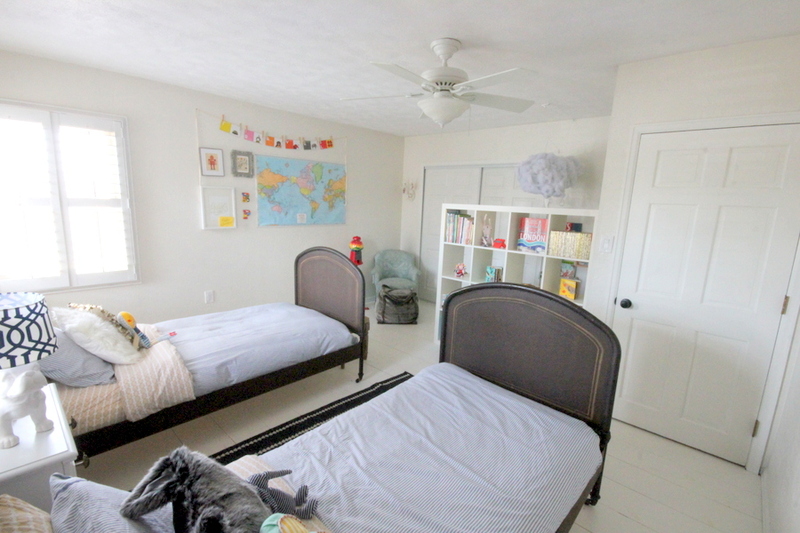 All of the new had me scrolling through old house pictures this weekend- I realized I haven’t shared the kid’s room pictures on here, probably because the room was not really finished. 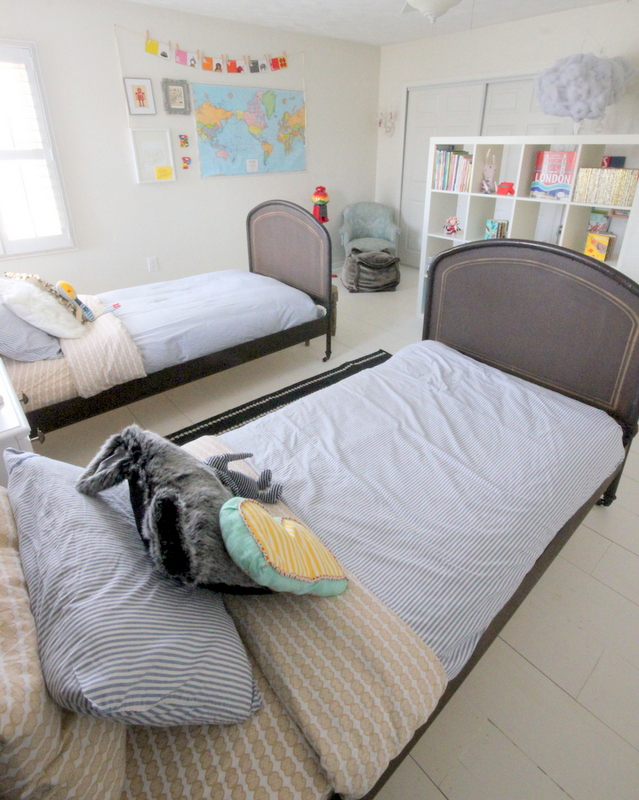 However, I loved this little shared room! 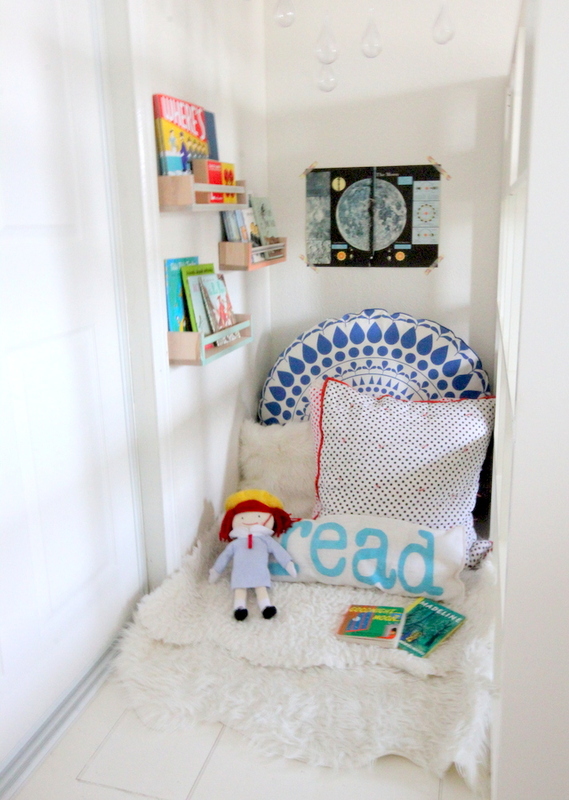 The reading nook was probably their favorite part of the room (and maybe mine as well). Though, those iron beds (from Anthropologie) were high on my love list as well. 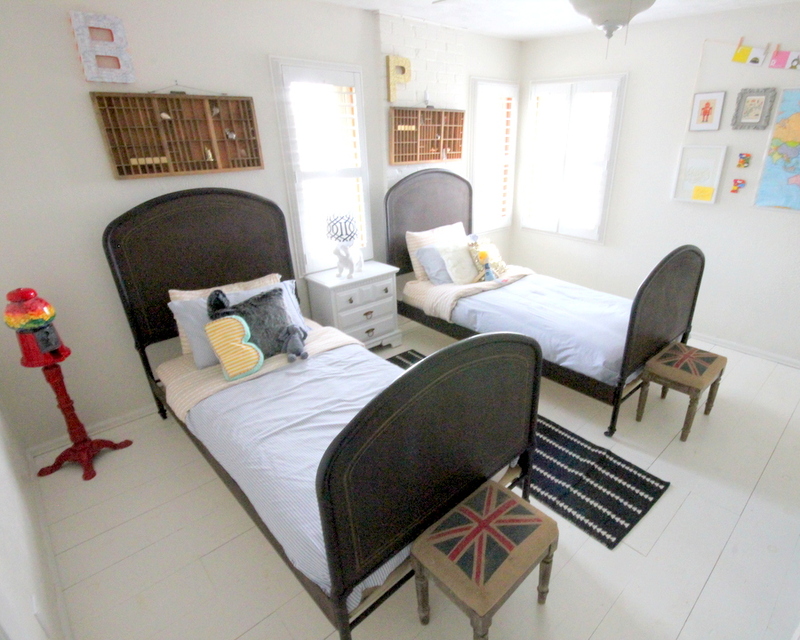 The vintage letterpress drawers hanging above their beds held shells, souvenirs, Lego guys and other treasures. And above those sat their monograms- Burke’s “B” is covered with London tube maps (and I’ll have to put together a tutorial for Piper’s sparkly “P”). 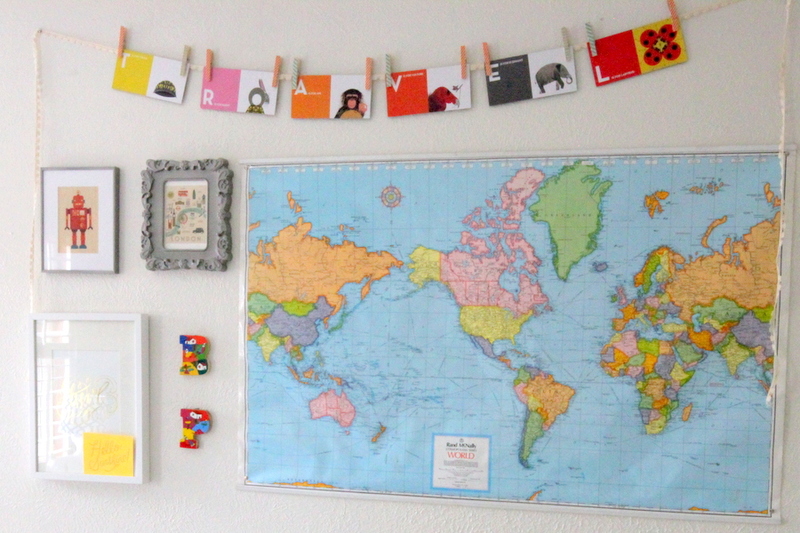 A big pull-down map, twirl artwork from the lovely Jones Design Company, monograms from our travels, the red robot by Petit Collage, a London postcard, and Charlie Harper flashcards spelling ‘travel’ (at least that’s what they spelled when this picture was taken). 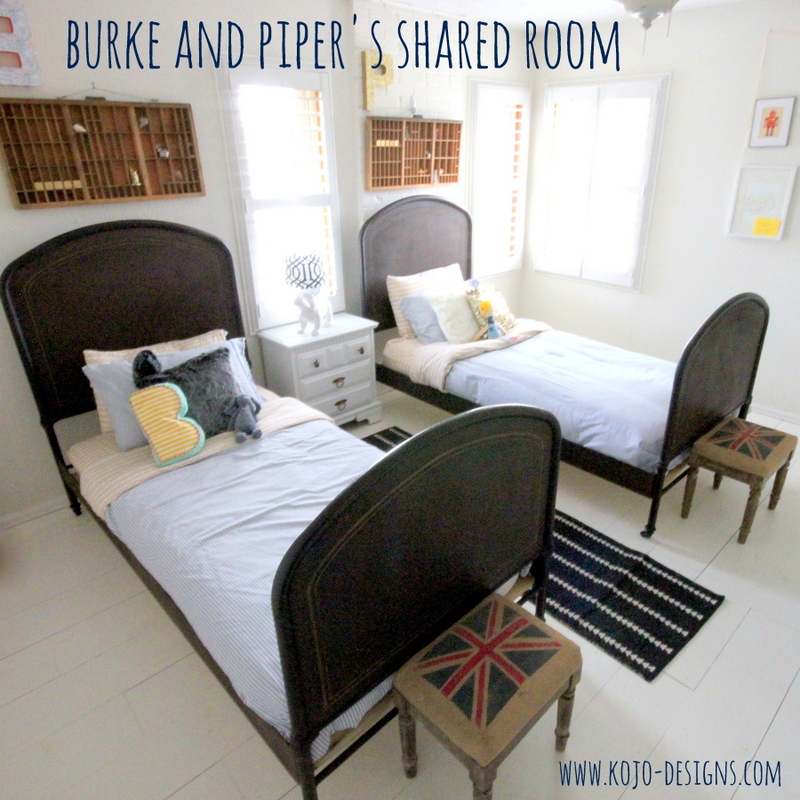 I think the best part of this room was the way Burke and Piper’s friendship grew in here. This was the room of late night singing and all sorts of mischief, and I have to admit, I sort of loved it. 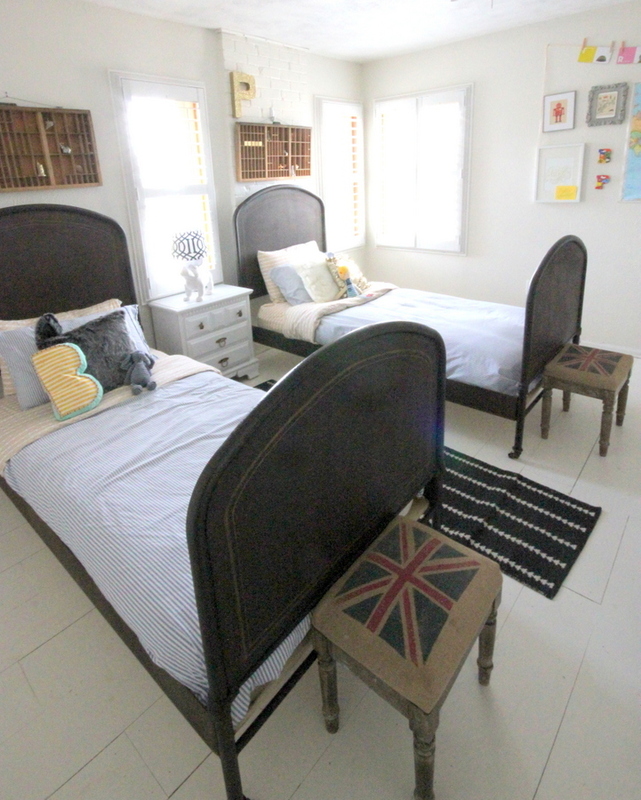 The trouble/love from this first shared room was probably the catalyst of their absolute insistence to share a room here in Saipan as well, and I have to admit, I sort of love that too. More news on that front (and hopefully pictures as well!) should be on here soon!